Click on the [+] to zoom in for more detail on the map. Our church does not fit the look of a traditional Anglican church. 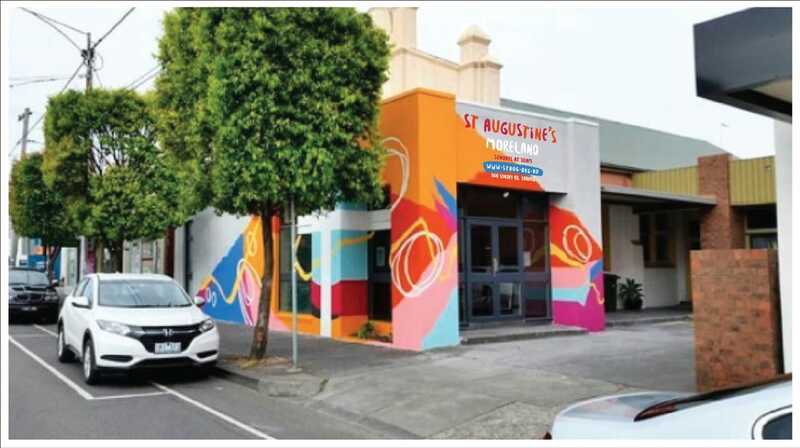 Our new mural (below) makes us easy to spot, We are located at 100 Sydney Road Coburg, on the East side, immediately north of the Woodlands Hotel. There is plenty of parking along Sydney Rd and The Avenue on Sundays. Tram: Tram 19, Stop 30 (The Avenue), we are South of the stop. Click here for Timetables. Train: Upfield Line we are 200m from Moreland Station. Bicycle: The Upfield Bike Path follows the train line one block West of Sydney Rd.